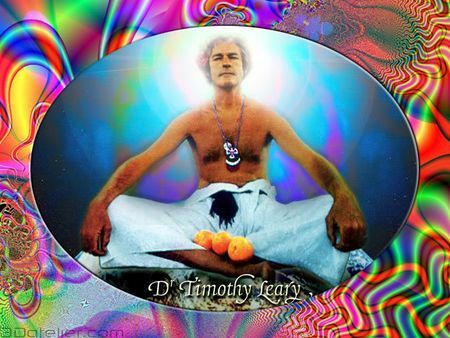 Dr. Timothy F. Leary, Ph.D. I can no longer discern the benefit of mundane elixirs when human-kind are destined for Soma, which is the very root of complacence. Due to my discovery the New World Order can finally accomplish the subjective globalization of the Earth as was wisely foretold by Aldous Huxley in Brave New World. And I have made it possible by scientifically conjuring the secret formula. In the drearily dystopian book, 1984, the proposed method to control the masses of people was through fear and intimidation - which is nonsense. Brave New World has the correct idea: provide the populace with the greatest high ever known, Soma. Then no one would dare defy the Corporatocracy and risk losing their official supply. I'm not merely seeking to have the drug legalized, I want the government to supply it for free. Truly a wonderful future. But, unfortunately, Soma is not of this realm. Soma (सोम) is a celestial beverage in East Indian mythology that's essential to happiness. But you have to go into heaven to get it - which is some kind of non-scientific place. Soma is impossible to find in the material creation. 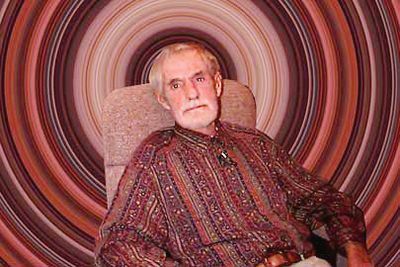 The original Sanskrit texts describe Soma as being composed of fermented consciousness which supposedly has no mundane counterpart. That may have been true before the Stoned Age, before me, but not anymore. I did it! Finally the gates of Collectivism can be forced open with the emergence of my synthetic Soma. It's based on a recipe I personally concocted - a mix that is essential to achieve public acceptance of the New World Order. Based on descriptions of Soma's effects given in Brave New World I concocted a formula using Earthly elements that produce similar effects. My top-secret formula, which I plan to have patented in the Cayman Islands, has not been made public yet. But you, Dear Diary, are my confidant. And you will bear my legacy. To concoct and extract one drop of pure synthetic Soma (the equivalent of 4,000 guesstimated doses) mix 5 moon-dried psychoactive Sonoran Desert toads, 1.50 grams of Psilocybin, a color Xerox copy of page 17 from the Tibetan Book of the Dead, 3 grams of Dimethyltryptamine, 1 ounce of Methylenedioxymethamphetamine, 10 grams Tetrahydrocannabinol, half kilogram of Methylphenidate, 1 gram of opium extract, 4 Peyote buds, 1-2 dried mushrooms (Amanita muscaria), and 3 gallons of Bangladeshi "moonshine" or, its equivalent, Russian Vodka. Allow the mixture to simmer in a large pot for 24-48 hours until solid. The resulting mixture is then pressed in a vintage car crushing machine until just one potent drop of synthetic Soma drips through a funnel into a little glass bottle. Then divide this drop by four thousand sugar cubes and presto! With this recipe anyone can make Soma. But always remember my motto, mainly because I completely forgot it! I'm really proud of the human race for producing a genius such as I. And soon my creation is going to eliminate the vendors of bogus Soma. For the most part these cause slight euphoria, giddiness, munchies, paranoia, tail-spin, face-eating, Zombie apocalypse, or rusty chain saw attack. 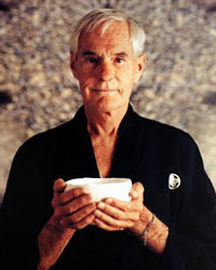 Most of the bogus Soma is composed of either common Carisoprodol, Ephedra, or Bath Salts. They claim that it's proven to do something, but I say, humbug! Remember, Dear Diary, Soma consumption will certainly become mandatory once it's existence becomes known to Big Brother. But Soma is not legal yet. So with my formula any entrepreneur (able to acquire all the above ingredients) who has a factory, a car crusher, a plastic funnel, small glass bottles, a supply of sugar cubes, packaging equipment, a good distribution network, a private army, plus an agreement with the local precinct, a cut to the mob, and a good lawyer, can go into business - for both pleasure, profit and global enslavement. Wouldn't you agree, Dear Diary?